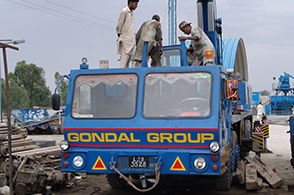 Gondal group of Industries operates a fleet of 5 heavy duty cranes, 8 trailers, 6 tractors and a dumper in order to tackle in house and market needs, each manned by skilled operator who is trained to the highest industry standards. We are constantly making sure our fleet remains at the forefront of the industry by making up gradation occasionally. 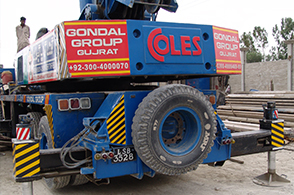 Gondal group of Industries also take great care to ensure that the complete transportation system is kept in the best possible condition – for serviceability and health and safety reasons. 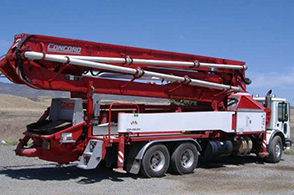 That means it invests heavily in maintenance and regular health and safety checks on the entire fleet. 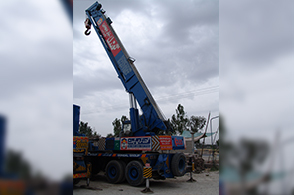 Because of its equipment and broad experience, Gondal Group of Industries, today is distinguished by the ability to transport heavy duty materials and to perform any hoisting, rigging, or hauling task efficiently and safely. 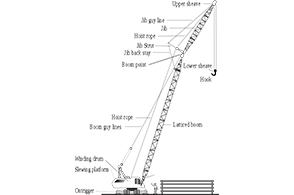 As anyone involved in construction knows, lifting and transporting heavy objects has the potential to be the most risky part of any construction project unless properly planned – there simply is no room for error. 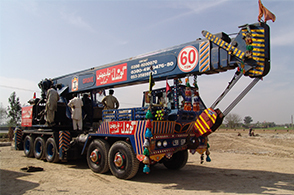 Since 1989 Gondal Group of Industries has built a solid reputation as a leader in the distribution of materials to any part of the country and heavy lift rigging and hauling services often in very tight, confined spaces.